Medical assistants work in medical offices and clinics to assist physicians, typically in outpatient or ambulatory care. They are instrumental in the field of patient care, making patients feel at ease and helping them understand the physician’s instructions. As a Medical Assistant, you can expect to arrange appointments, medical records, insurance forms, and lab services for your patients behind the scenes. Alongside the physicians in your office, you will help explain treatments, prepare patients for their exams, administer medications, draw blood, and remove sutures and dress wounds. 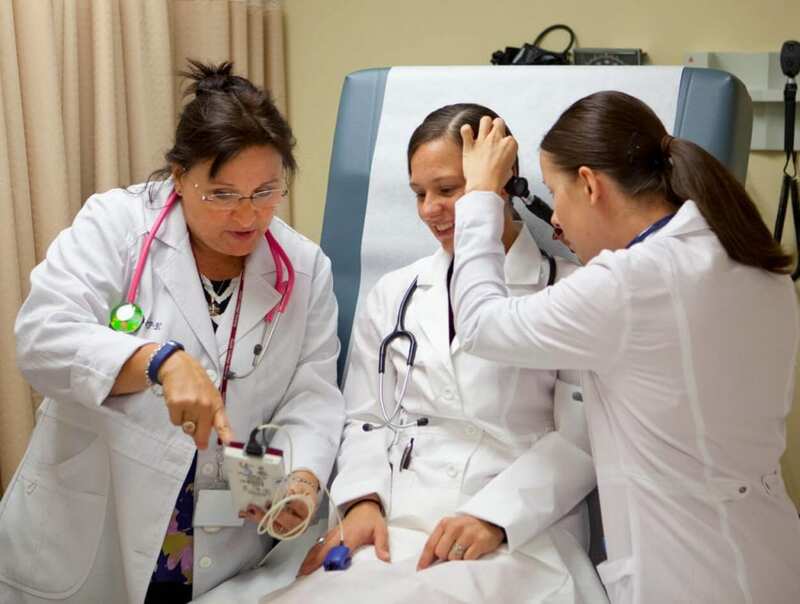 Our unique 1 + 1 program allows students who complete the 9-month certificate program to continue for an additional 3-4 quarters to complete the general education requirements and earn an Associate degree in Medical Assisting. As part of this online two-year certificate and degree program, you will learn medical billing and coding, patient care management, and taking patient medical histories. You’ll receive the educational instruction you need alongside practical training that will help to make you more competitive in a rapidly growing job market. An Associate of Science in Medical Assisting will prepare you to work in a medical office, assisting practitioners with examining and treating patients, performing laboratory testing, and providing administrative support.